This is a stunning necklace. 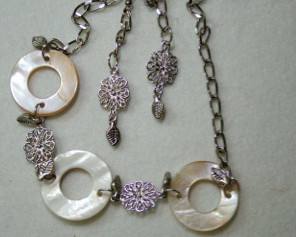 Delicate and unique with white shell circles and intricate silver flowers between. Long matching earrings complete the set.